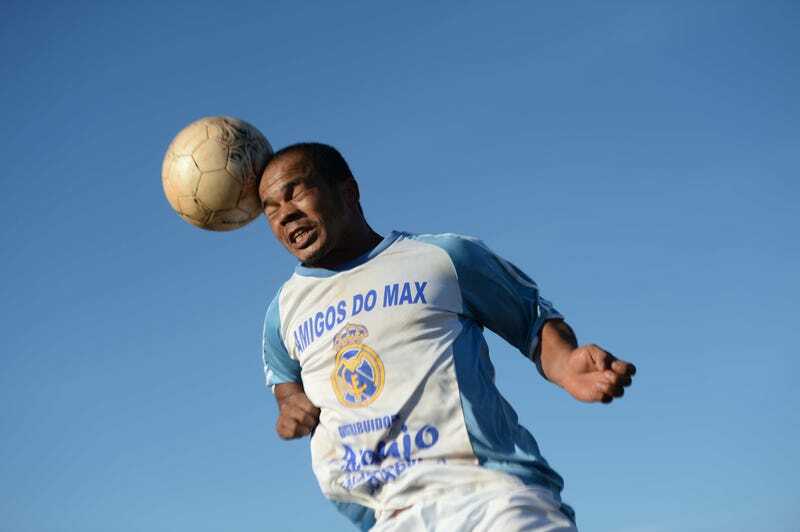 A player rises for a header at a slightly less hyped tourney in Cuiabá, Brazil. Ryu Voelkel is Howler Magazine's European photographer. He's currently in Brazil shooting for his forthcoming book of World Cup photography, RYU X RIO, which you can pre-order here. German players pose with the World Cup Trophy after defeating Argentina 1-0 in extra time.